Low-running water spills over the rocks of the West Branch of the Columbia River. 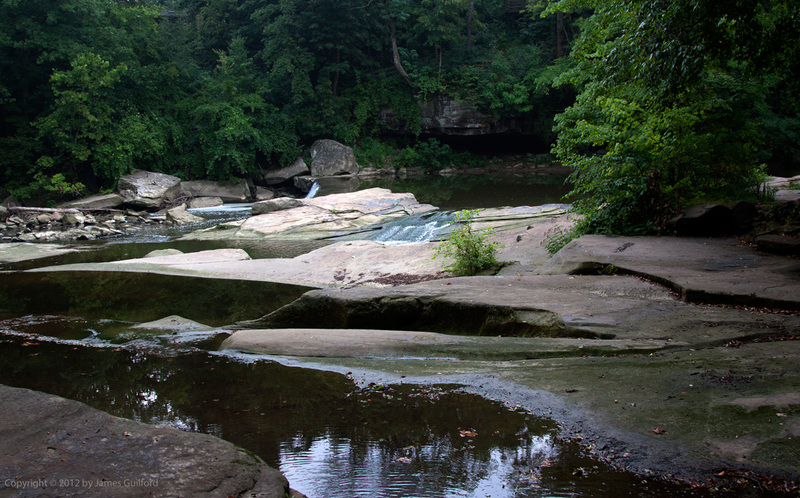 I do love the quiet beauty of the morning and I have been long remiss in visiting David Fortier River Park in Olmsted Falls, Ohio. There I have seen the West Branch of the Columbia River in full fury — roaring waters that threatened to end anyone or anything that ventures too near or happens to make a misstep. Recent drought conditions have tamed the rivers here. On this morning’s journey I promised myself to make a quick stop for a taste of tranquility; I am so glad I did. The morning light was subdued by clouds. To spite the drought the stony valley was lush, damp, and green. The river itself was running low, there was no flowing water at all in a tributary joining it, and the peace of the place was thick as the morning’s air. I was reminded of the first time I set eyes upon the park –one of my favorite places– and wondered how I could have stayed away so long. Time passed quickly and I was expected elsewhere. Too soon departed from this lovely place. 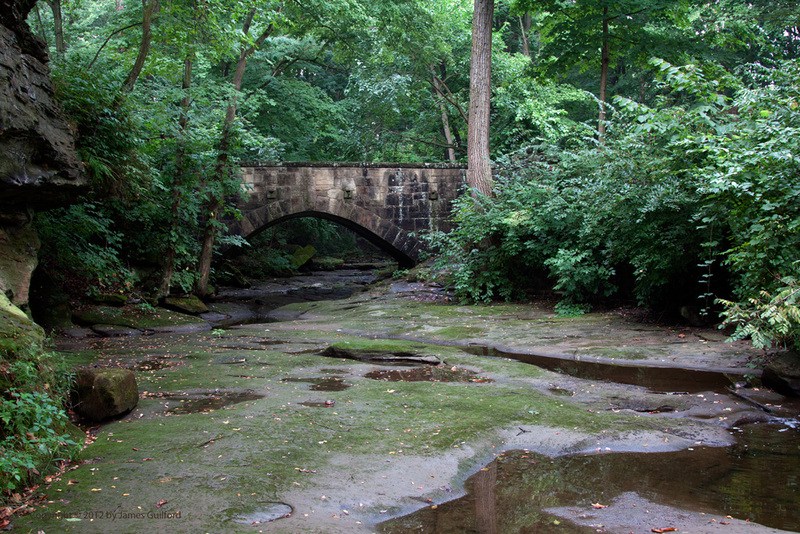 A moss-covered rocky river bed runs beneath an old stone bridge. Thanks! I was delighted the photo depicted what I saw that morning.